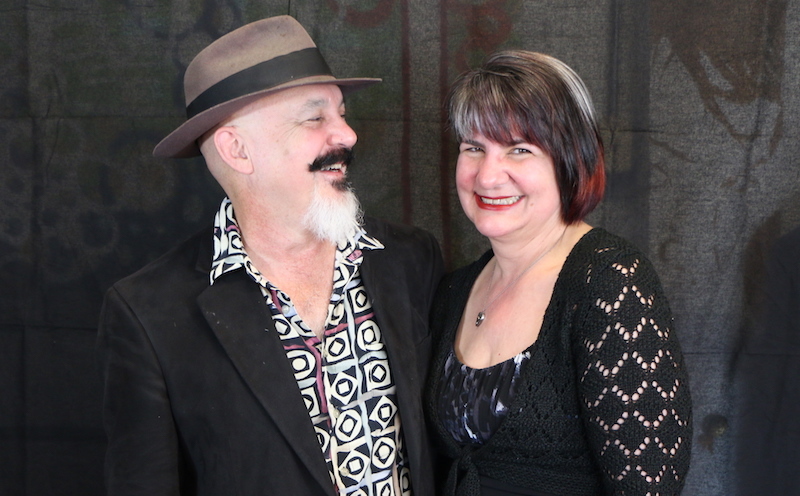 Kevin and Ann Hutchinson, Sonoma County Dance Beat founders, LOVE to dance to live music. This passion is behind the creation of Sonoma County Dance Beat, which started with an online calendar they wished existed and has grown to be so much more. Sonoma County Dance Beat calendar lists live music at venues ranging from dancehalls, music festivals, restaurants, breweries, hole-in-the-wall taverns to farmers markets, all in one place. Know before you go. Find out who’s playing, what they play, what they cost and what kind of floor is available for dancing. The only things routinely excluded are singer/songwriter gigs and seated shows. Kevin and Ann teach group dance lessons at events, before select shows and private lessons in its Railroad Square studio. Sonoma County Dance Beat throws at least one great dance party a year, April Foolery (near April 1), which is also an opportunity to help support the calendar. At least two bands and often costume prizes and other mayhem. The calendar helps bands with publicity, helps booking agents and bandleaders know who they’ll be up against on a given night when booking a gig and may also learn about venues they didn’t know existed. And it’s free. Sonoma County Dance Beat provides talent buying services for a number of local venues. SCDB selects local bands based on musicianship, reputation, reliability, longevity, stage presence, genre and following. And it has to be a good fit for the venue and crowd. This ensures a positive experience for everyone concerned. Ann Hutchinson, who does the booking, generally does not book bands she and Kevin haven’t seen play in a similar venue. One YouTube video isn’t absolute proof. Nor is a good recording. That’s how the band is in the studio. Ann writes marketing copy by day and is excellent at tag lines, bios, campaigns and differentiators (gimmicks) that will help get more people excited about checking out the band’s unique sound. « April Foolery is Sunday, April 8!